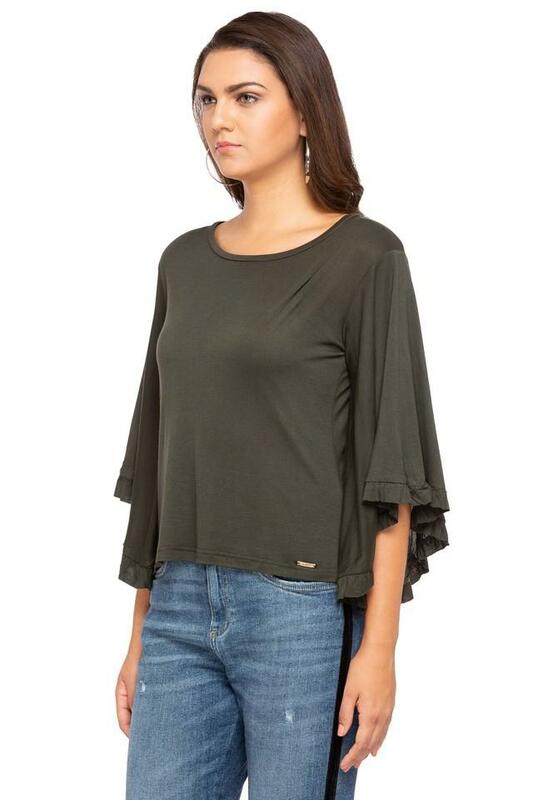 Incorporate sleek design into your casual collection with this top from Flaunt. 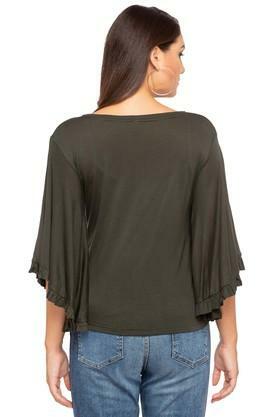 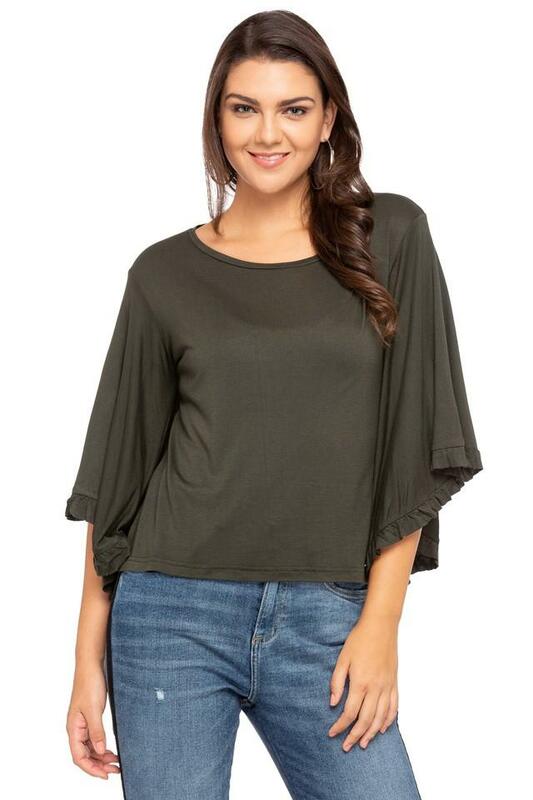 Made from superior quality fabric, this top is lightweight. 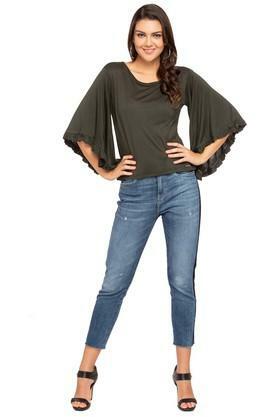 Featuring a round neck, flared sleeves and solid pattern, this top possesses a stunning gracefulness.